Susie the Duck has been the mascot for Lodi since 1948. She has a special spot and small park where she resides where Spring Creek crosses Main Street. 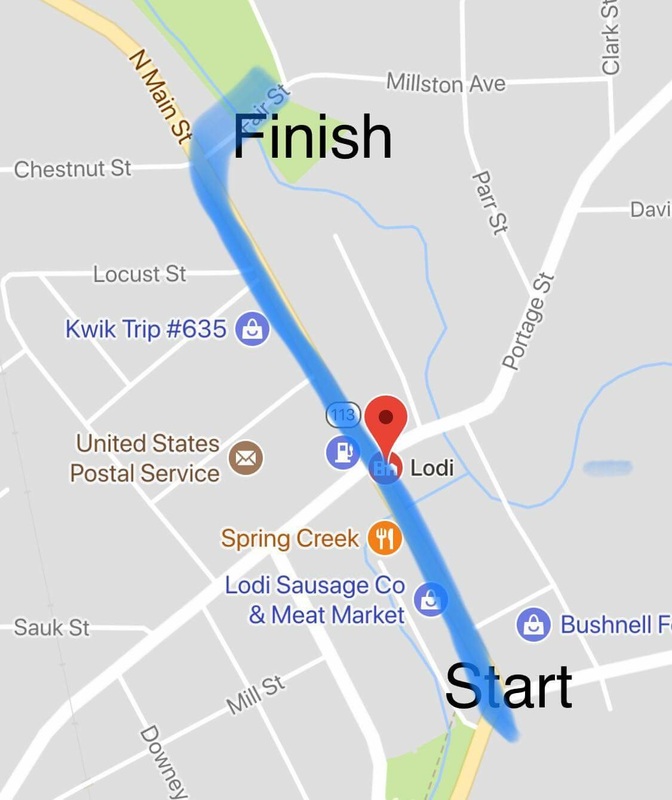 Every year in August Lodi holds Susie the Duck Day. 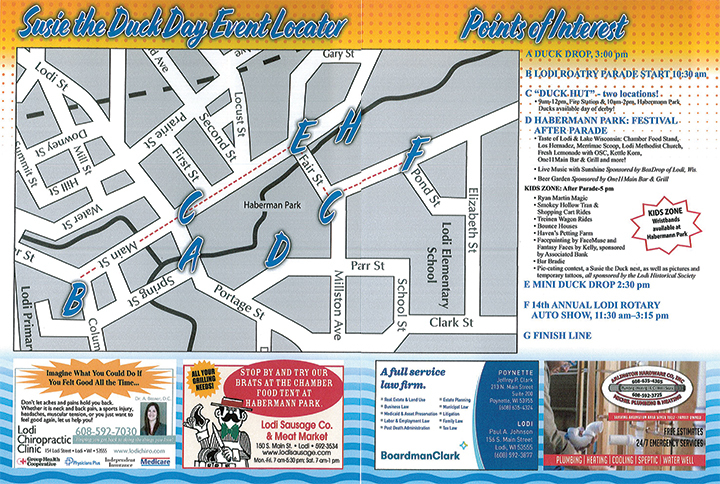 A celebration which features a rubber duck race where thousands of rubber ducks are poured in Spring Creek and they race to the finish line. There is also, food, brat stands, a beer garden, games, and numerous other festivities. 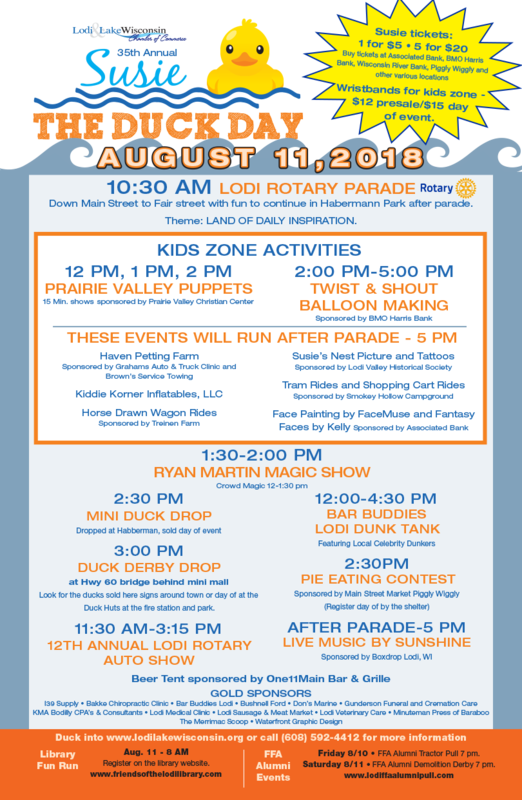 The Lodi Rotary Club puts on one of the best parades and you do not want to miss this! Whether you stand on the sides and wave or you enter your float/car/walking group in the parade - you need to be there! The parade starts at 10:30 am. The theme this year is Land Of Daily Inspiration. Parade Marshal is our very own amazing retired Elementary Principal Lyle Hendrickson!